Did Delta Force The Retirement Of Record-Holding Flight Attendant? Flight attendant Robert Reardon has truly witnessed the ups and downs of the airline industry. He flew for so many years that he outlasted even the most senior pilots by twenty-plus years. He holds two Guinness World records — oldest active flight attendant, and the longest career as a flight attendant, at 63 years. When Bob began his career on June 1, 1951, commercial air travel was nothing like it is today. 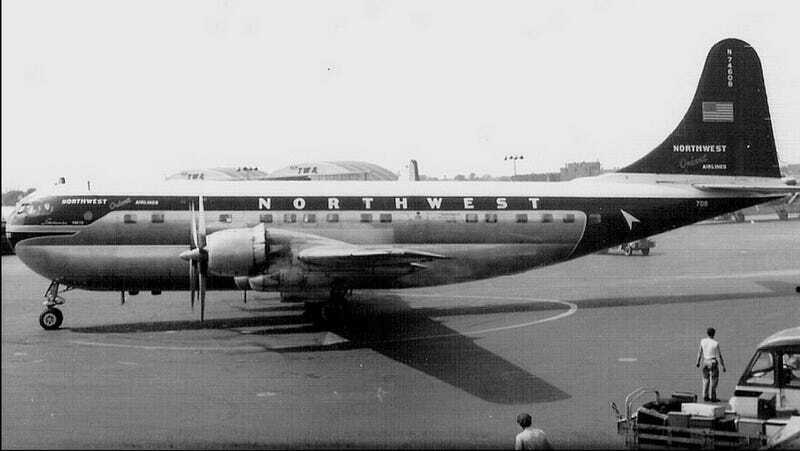 His employer, Northwest Orient Airlines was flying DC-4s and Boeing 377 Stratocruisers. Passengers wore suits and fine dresses, treating air travel like the privilege it is. Flight attendants served hot meals on china, with real silverware and cocktails in real glasses. Keep in mind that flight attendants don't just coast along after they're hired. They have to attend annual recurrent training, to prove they're still up to the task. They practice aircraft evacuations, first aid/CPR, and have to remember the galley configurations for every aircraft type. That's only some of it, but to know that Bob did it every year for so long, is incredibly impressive. Those who have flown for many years often say that flying can take a toll on the body. There are cases of pilots with skin cancer from cockpit UV radiation, and flight attendants with fertility problems and hearing loss. Not to mention the fast-paced, low rest lifestyle of quick turnarounds and short layovers. Bob was obviously at the top of the seniority list as a Purser (Head Flight Attendant) and able to choose whatever trip he wanted, serving First Class. But working your way to the top of the food chain at an airline is long, grueling work. Reardon's last day as an employee of Delta Air Lines was Saturday, August 30th. The previous longest career record holder was Ron Akana of United Airlines. Delta says Reardon maintained a full flying schedule even at the end of his career, working flights to Tokyo several times a month. "Rather than a date to celebrate, it marks the end of a 62-year, 8-month career marred by a seven-month stressful and unfortunate ordeal. Robert's pending retirement was not of his choosing... Please understand that Robert needs time to sort out and reflect upon the events preceding his retirement"
Judging by the many comments left by his former coworkers, he was beloved and respected. All careers come to an end, and Bob undoubtedly loved his and did it well. It's quite a shame that it had to end under unhappy circumstances. I have requested a comment from Delta to provide their side of the story, and I'll update this piece when or if they respond. Robert "Bob" Reardon acquired legendary status at Delta and in the industry for performing a job he loved for 62 years. During that time he provided safety, service and friendship to countless customers and colleagues. We thank Bob for his years of dedicated services and wish him all the best in his retirement journey after what has been a truly remarkable aviation career. Top image: Northwest Orient Boeing 377 Stratocruiser. Photos courtesy of Robert Reardon's Facebook page.